China has laid out plans to send probes to Jupiter and the far side of the moon as part of its goal to become one of the world’s top three space programmes by 2030, the deputy head of the space programme said on Tuesday. Launching a white paper that lays out China’s space doctrine for the next five years, Wu Yanhua, deputy administrator of China National Space Administration, said that “for the first time China is declaring itself a space power”. By 2018 China plans to “achieve [the country’s] first soft landing on the far side of the moon”, it said — the first time such a goal has been made public. In 2013, China landed a rover on the moon that sent back breathtaking panorama shots of its surface. The white paper listed “asteroid exploration, exploration of the Jupiter system and planet fly-by exploration” as key deep space goals. Experts said this was the first time China had officially talked about the Jupiter moons probe, the far side of the moon or exploring asteroids. 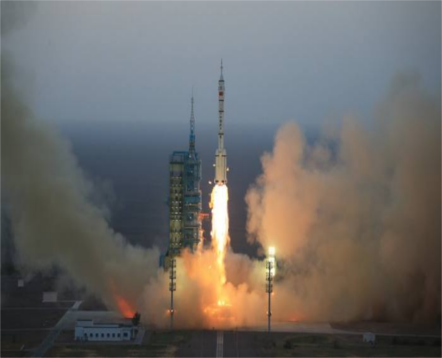 But they added that while the pace of China’s space progress has been frenetic, the country has yet to take its place alongside world leaders: US space agency Nasa, Russia’s Roscosmos and the European Space Agency. “China has a number of space projects in progress now, but in terms of the quality of projects we are still behind compared to other big powers,” said Jiao Weixin, professor at the School of Earth and Space Sciences at Peking University. In August, China released images of a Mars probe and rover that the country plans to send to the Red Planet by 2020. Last month, two astronauts returned from a month-long stay aboard China's Tiangong 2 experimental space station, the country’s sixth and longest crewed mission. A permanently crewed space station is scheduled to begin operations six years from now. Mr Wu said on Tuesday that the Jupiter mission would take place in the next 10 to 15 years and “is in the middle of discussion”. He said that part of the effort would be funded by the private sector, and even invited foreign investment in research and development for China’s space programme, which has traditionally been one of the most sensitive areas of technology and all but closed to outside finance.